Here’s the start of another series from author James Riley, although in his bio he claims to be non-existent. I know his writing from the popular Half Upon a Time trilogy. 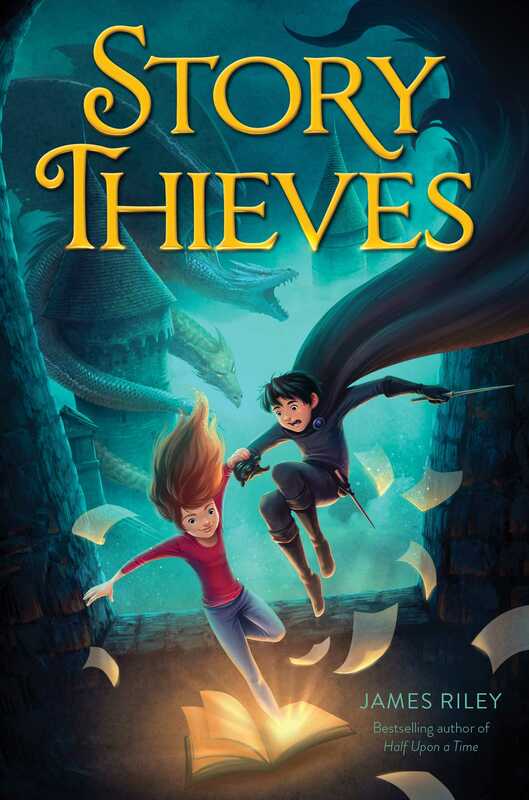 With Story Thieves he has brought forth an intriguing concept – two kids, Owen and Bethany, leap in and out of a book’s pages and experience what is happening in the story they’re in. It gets quite involved as they get separated in one of Owen’s favorite stories (One you won’t find on the bookshelves, but there are quick journeys into real books). I liked the interaction with the two of them staying together so when they split up it was a disappointment. Multiple third person POV’s are not my favorite. You just get going on Bethany’s story and then it is interrupted for an update on Owen. Alas, with the way the story unfolds it’s the only logical way to present the tale. Story Thieves is exciting, funny in parts, and got me thinking – each our lives are a story being written. I’ll keep mine to a single POV. FULL PLOT (From Amazon): Life is boring when you live in the real world, instead of starring in your own book series. Owen knows that better than anyone, what with the real world’s homework and chores. The strength of this plot will grow as more volumes are completed in this series. I was guessing all the way as to what little tidbits of future conflict lie ahead in books to come. Bethany and Owen are engaging characters. They make for fine protagonists and both experience change in their way of thinking. Bethany is a tough girl who is in charge and Owen is your typical ‘Oh that would be so cool’ boy. Middle level readers have a couple more heroes to cheer for. 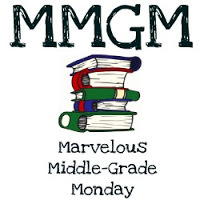 I read an author interview recently and the question was describe your book in one word. I’d have to call this one CLEVER. Kiel makes for an interesting fictional character pulled from his own fictional story into this one. He’s funny and quirky and I’m sure he’s not going away in future books. With this being a series, I was not surprised by the many loose ends left on the last page. The dangling plot points serve as a great discussion as to what happens next. I’m never right about these things, but there are some enticing possibilities with the characters. Just what you want as an author of a series – readers debating as to what happens next. Great post, Greg. I’ve pinned this cover to my ‘Covers I Like’, and added to my TBR list. Sounds like an interesting story. I like that his friend is part fictional. Thanks for sharing it. Laughing at that favorite line. Now that would be a huge punishment for me. Great concept. This sounds like a really fun read. Thanks for the review and for a terrific quote. I’m laughing about this: “the deepest, darkest math book I can find, and drop you into the most boring part.” Ha ha! That about sums up my feelings toward math. Multiple POVs aren’t my favorite either, but if they’re handled well, like in CRACKED by K.M. Walton, they work beautifully. This sounds like a fun book. My son really loves books where characters go into the story like this–so I need to check this out. There’s something about that concept that’s so intriguing. I love that author quote! So. True. The book sounds like a load of fun, as well, and the kind of twisty escape-adventure I’m so often up for. Thanks for the recommend!